The Favorites computer container is used to create a hierarchy of internal and external computers for easy access within the remote access or remote control operator console. This feature is particularly useful to manage stand-alone machines. There is a shortcut and two locations where the Favorites containers can be found. The Favorites container is located below the Internal/External Devices area. There is also a “Go to Favorites” shortcut located in the Favorites ribbon at the top of the Goverlan Console. The Favorites containers are located in the My Devices tab. The Favorites view contains two primary containers: Favorites and Shared Favorites. Shared Favorites are objects shared with every other Goverlan Reach Operator. The creation, modification or deletion of folders and computers within this area is automatically reflected in the Shared Favorites container of all operators upon a refresh of the view. Favorites objects are private and only seen by each operator. You can create either static or dynamic containers in the Favorites view. Static containers can hold computer objects, other static containers or dynamic containers. To create a hierarchy of folders and sub-folders, you must use static containers. Active Directory Container – These are containers based on an Active Directory OU. These are live containers and update as computers are added or removed from the OU. External Site – These are containers that point to external computer sites. Which are computers that are outside of your organization registered for unattended management via the Goverlan Reach Gateway Services. 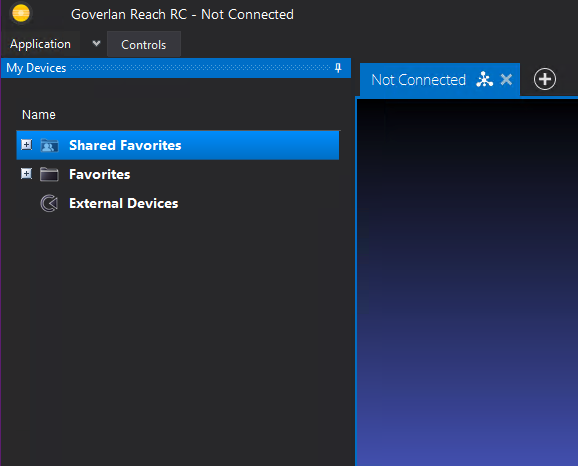 This option is not displayed if Goverlan Reach Gateway Services is not configured. IP Subnet Range Containers – These containers are based on an IP subnet. These are live containers that change as devices are configured with an IP in that subnet. IPv4 and IPv6 ranges are supported. Right-click and select Add Container. Choose the container type to create. Static containers only require a display name. Once specified, you can add computers to it, or create additional sub-containers. Active Directory containers point to a specified Organizational Unit of an internal Active Directory domain. Display – Enter a name used to display the container. AD Container – Click to specify the Active Directory OU. Name Filter – Optional – Enter a string to filter out the resulting list to only computers with a name that includes the specified value. A filter value must not contain a wildcard. Location / Description / Comment – Optional – Enter a location, description or comment if applicable. Note that by default, some of these columns are hidden from the main view. To show/hide columns, right-click within the column header and select Show / Hide Columns. Once an AD container is configured, double-click on it to dynamically query and list its objects. Note that the AD container only lists the computers that are within the configured OU, it does not display sub-containers of the OU. Selecting this option presents you with the External Devices container browser. Select the external site or site sub-container that you want to have your container point to, then click on Ok.
Once an external site container is configured, double-click on it to dynamically query and list its objects. External site containers can display both computer objects and sub-containers. To – Defines the last IP address of the IP range. List IP only if IP is Alive – Enable to only display IP addresses that are pingable. List IP only if IP resolves to a name – Enable to only display IP addresses that resolve to a NetBIOS or FQDN name via reverse DNS resolution. Once an IP Range container is configured, double-click on it to dynamically scan the IP range and list its objects. While exploring an Active Directory OU within the Administration & Diagnostics module, a single or group of machines can be selected then right clicked to reveal the “Add to Favorites” button at the top of the menu. Right-click the Favorites folder or any Static Container and select Add Computer. It is recommended to provide domain information using a UNC or FQDN format. You can also search for computers in Active Directory by specifying a wildcard in the name (for instance: NY-SRV-* ), or by entering part of the name and clicking on the search button. Click on the Advanced button of the Select Target window. 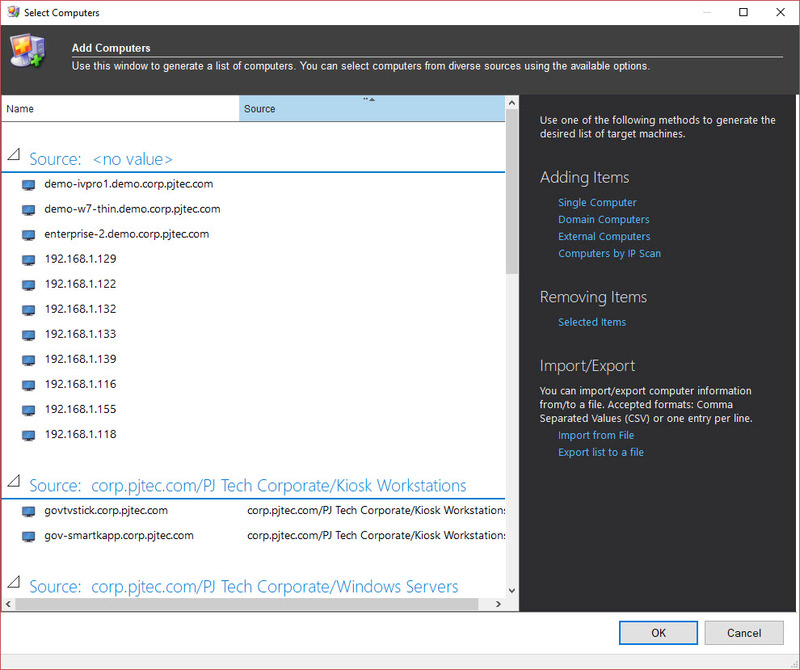 In Advanced Mode, you can generate a list of computers from different sources such as Active Directory, external sites, IP range or import from a file. A list of pre-created Favorites can be imported via the CSV file format. Simply right-click the Shared/Favorites container > Import Favorites, and the Import Favorites window will appear. 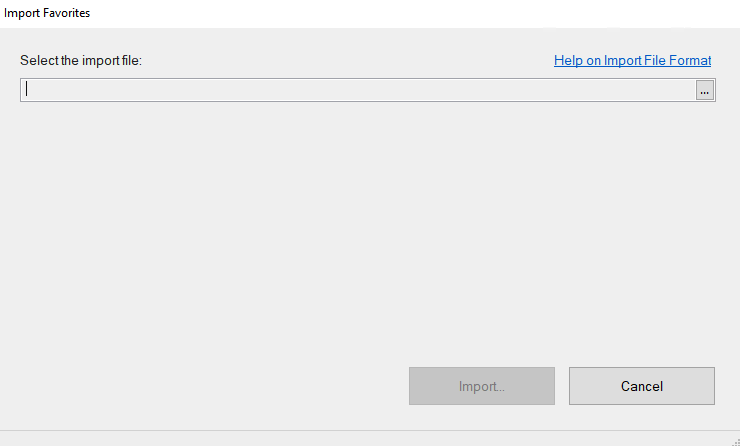 For more in-depth information on the import formatting, click the “Help on Import File Format” button in the Import Favorites area. Where the Endpoint_Path is the path of the favorite item. Use a backlash (‘\’) to create a hierarchy. Where the Endpoint_Name is the shortname, UNC name, FQDN, IP address, LDAP string or External Site path to the favorite computer to be added.